Chiara Samorì, INGENIO’s news correspondent from Milan, met eng. 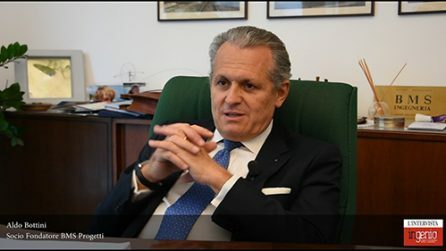 Aldo Bottini, founding member of BMS Progetti, leader in Italy in structural design since early 90s, and now made of three separate divisions: architectural, structural and MEP design. 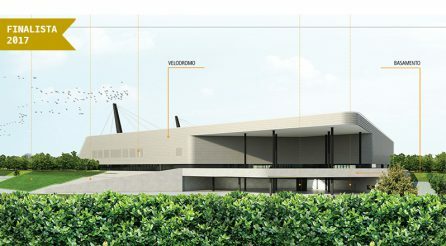 The goal of the interview is to understand the changes in the design field due to digitalization and BIM through BMS experience. 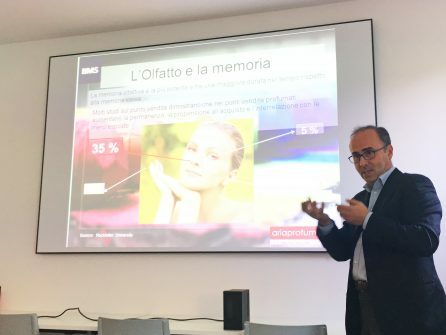 Ariaprofumata® visited our offices to illustrate the unique characteristics of their systems of management and diffusion of aromas in indoor and outdoor environments with totally natural solutions integrated with the IOT. A technical in-depth analysis that confirmed, also among the public, all the potentials of olfactory communication. 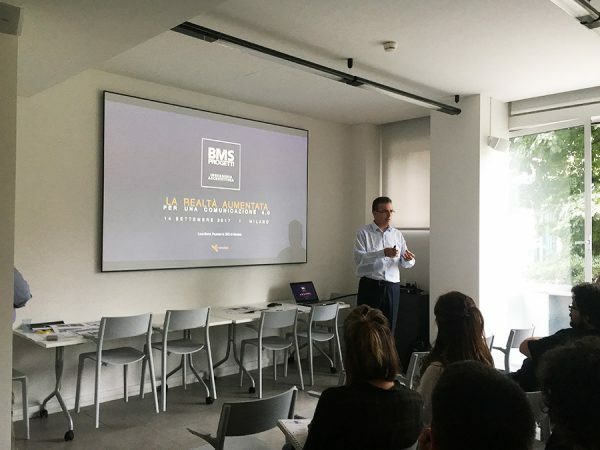 Focus on training and innovation in BMS: a SPIN training course was held in the T6 hall of piazza Santissima Trinità, a session organized by Vincenzo D’Ascanio within the activities. 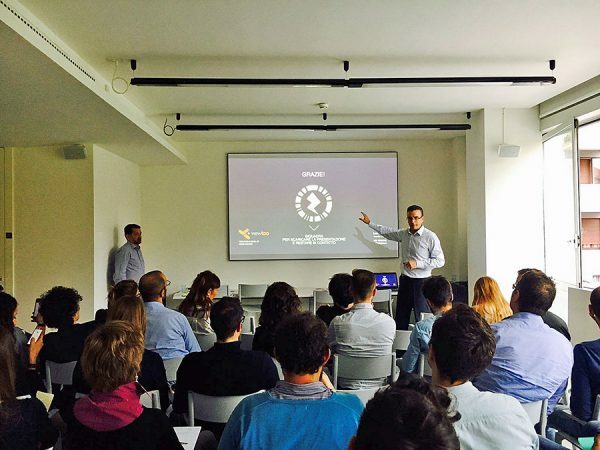 Several BMS-BMZ and Tiemes collaborators took part to the event, with the common goal of improving their relational skills for business development. 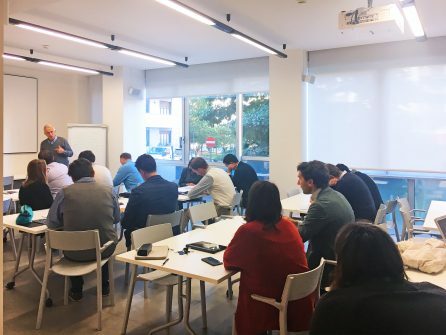 A brief outline of useful methodologies was followed by three role-playing sessions: all participants played in turn the role of the seller, buyer and observer, who had to report to the group to the methodologies used during the interaction he had witnessed. 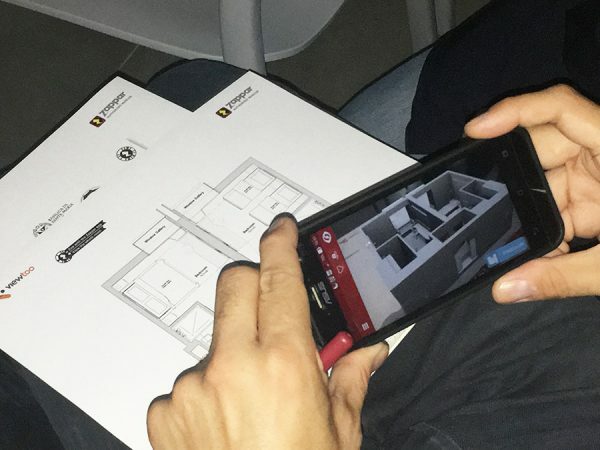 Viewtoo CEO and founder Luca Bonzi presented to our staff the various applications and possibilities offered by the new augmented reality technology for the construction world, including a demonstration of mixed reality, a first preview in Italy.